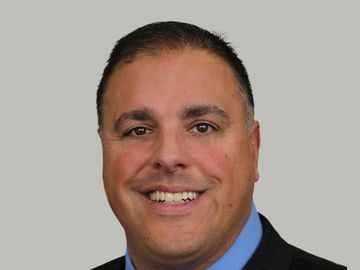 Jason Maceda joined Dunkin’ Brands in 1998 as Regional Controller and currently serves as Senior Vice President, Baskin-Robbins U.S. & Canada. In his role, Jason oversees the operations and marketing of more than 2,500 Baskin-Robbins restaurants in the U.S. and Canada. From 1998 to 2017, Jason held roles of increasing responsibility within the Finance team, leading to his appointment as Vice President of U.S. Financial Planning and Corporate Real Estate in 2012. Additionally, Jason is a Certified Public Accountant, as well as a Board Member and Treasurer for the Joy in Childhood Foundation. Prior to joining Dunkin’ Brands, Jason served in a supervisory position in the finance department of Davol Inc., subsidiary of C.R. Bard Inc., a multi-national manufacturer of healthcare products. Prior to working at Davol, Jason worked in public accounting with the international Accounting Firm of Ernst &Young, LLP. Jason received his Bachelor of Science in Accounting and his MBA from the University of Rhode Island. Jason is drinkin’ a Dunkin’ Iced Coffee with cream and two pumps of Caramel Swirl and is scoopin’ Baskin-Robbins Pralines ‘n Cream ice cream in a Waffle Cone.